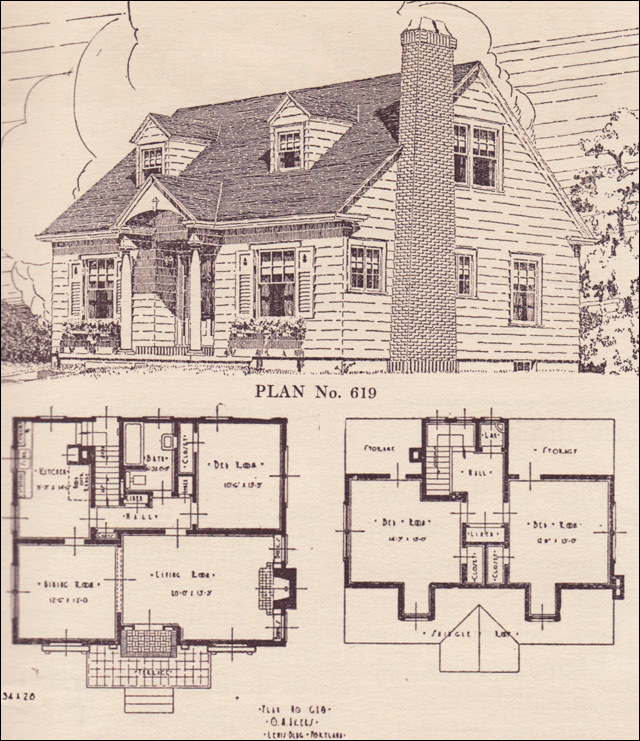 Home » History and Cartography » The humble and efficient home. Since my project focuses on big areas I wasn’t sure what I could or would wind up with for the sketchup project. 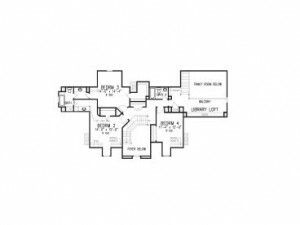 I thought about doing my childhood home but I don’t know where I would find a floor plan. 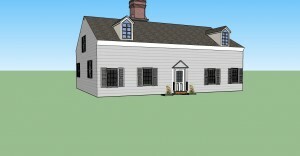 Instead I went with my dream house- A nice simple older cape cod. 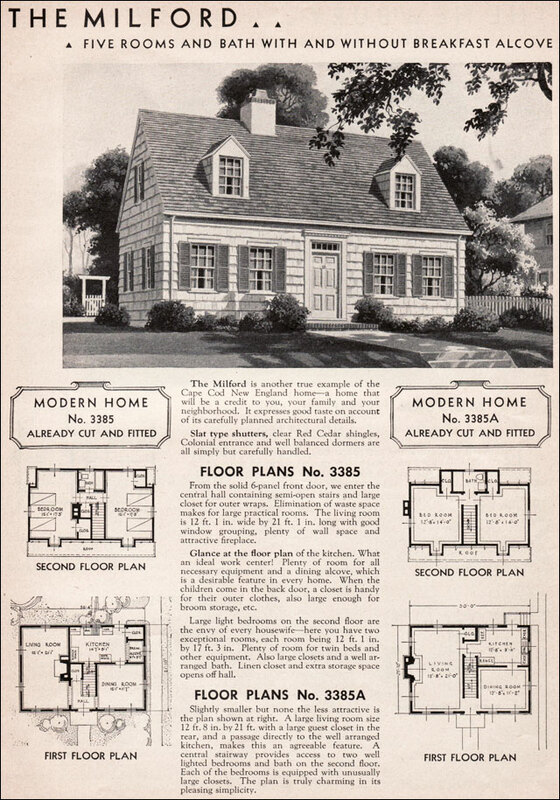 I found an advertisement for a kit home from Sears from 1936. 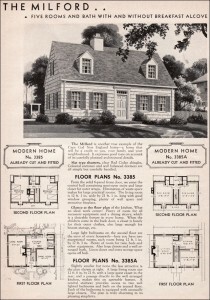 According to the advertisement, The Milford “expresses good taste on account of its carefully planned architectural details.” In my opinion a statement that holds up to this day. 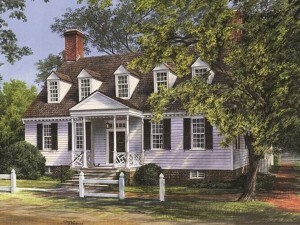 There is something satisfyingly efficient about traditional cape cod style homes. 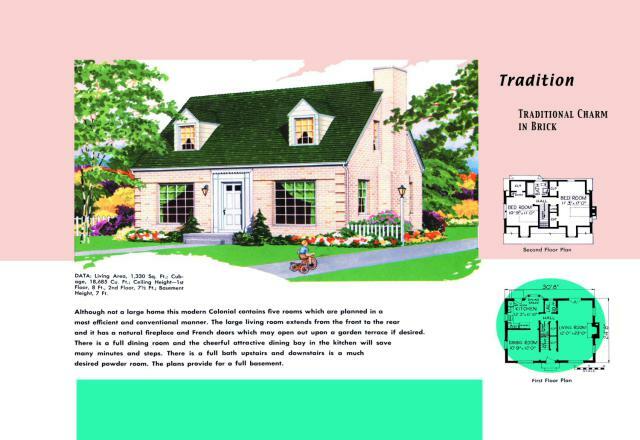 I love the original 1936 version, if I had my way I would buy one right now only, replacing the dining room with a master suite, including bathroom. 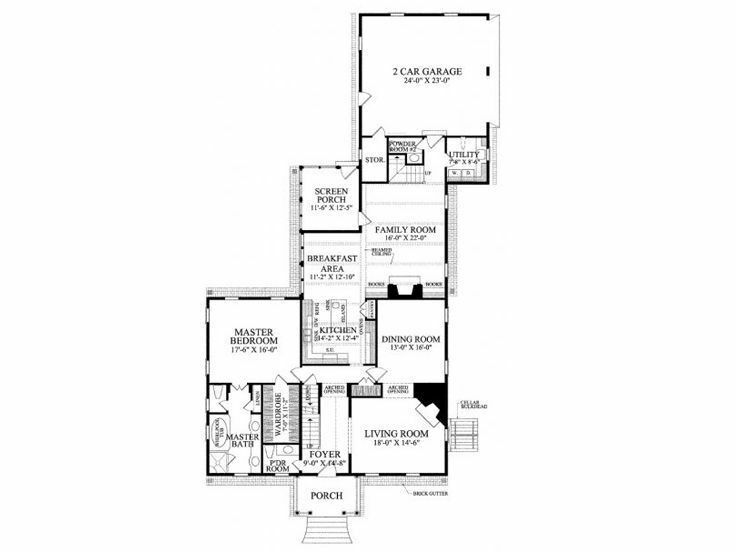 Adding a powder room under the stairs, and creating a more open floor plan by opening the kitchen to the living room. 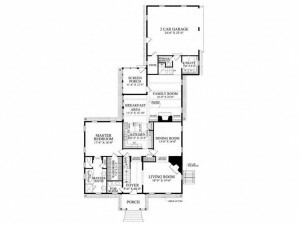 The upstairs is perfect for guests and an office. 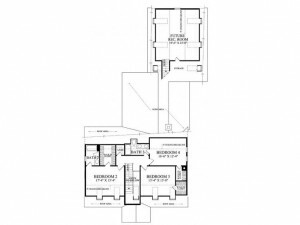 Usually cape cods have finished basements to be used as rec rooms or the ever popular “man cave.” While the home may seem small to some, I see a home that is symmetrical from the outside, easy to clean, and inexpensive to heat. The perfect home. 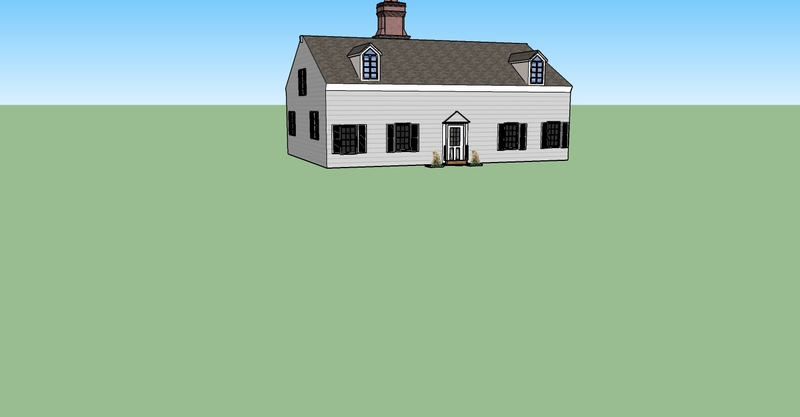 Before I built my house I wasn’t to enthused about sketchup. I didn’t think I would need it. As it turned out this project was the most fun I have had so far. 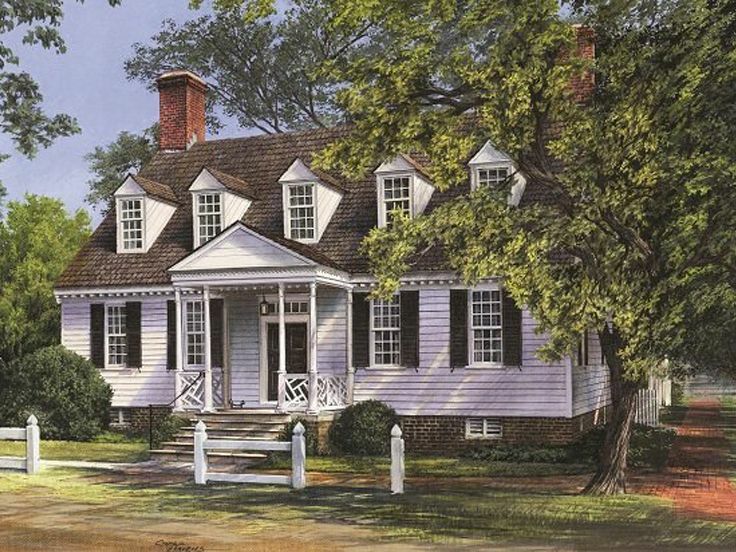 The base is square but the dormers and side windows presented a challenge. I couldn’t flip the upstairs side window on the axis I wanted and after a few hours I finally got it where it needed to be. 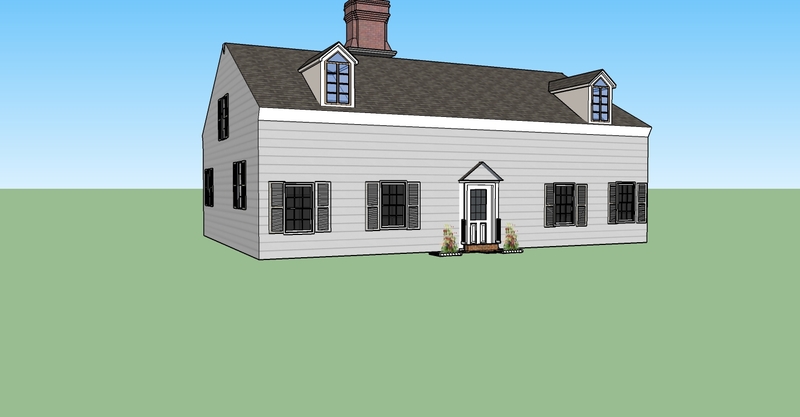 I can see the uses for recreating historic homes using sketchup now. There are so many uses, I could have recreated a town built of kit homes in 1936 and gone back to see what has happened to them now. 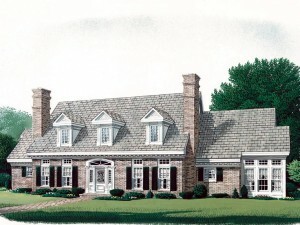 Something tells me all the adorable Milfords have be transformed beyond recognition into huge homes. 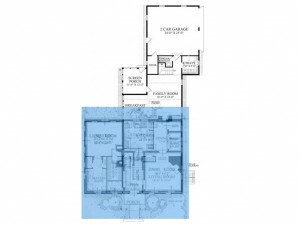 I went through and did a search for “new construction cape cod” just to see how different the floor plans are now, needless to say my hypothesis was correct, these simple homes have gotten much larger over time. The effect of the G.I. 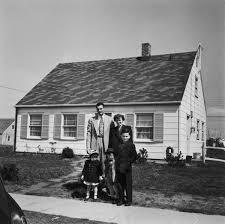 bill and growing families directly correlatives to the increasing size of the homes. 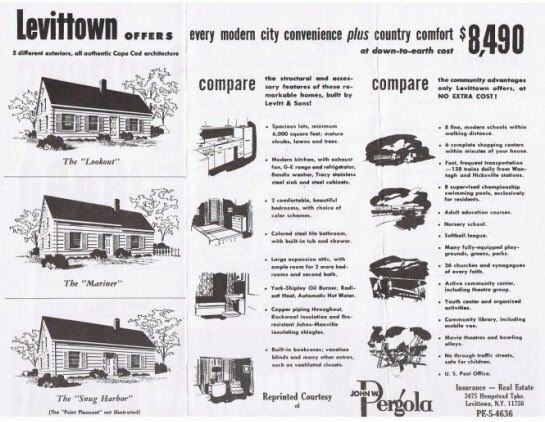 The next add is only dated “Mid Century,” so it could be concluded the homes are growing as people are spreading to the suburbs. Cars and roads make it easier to commute to the city for work, there are less “undesirables,” and there is space. Again, mid-century New York is expanding. 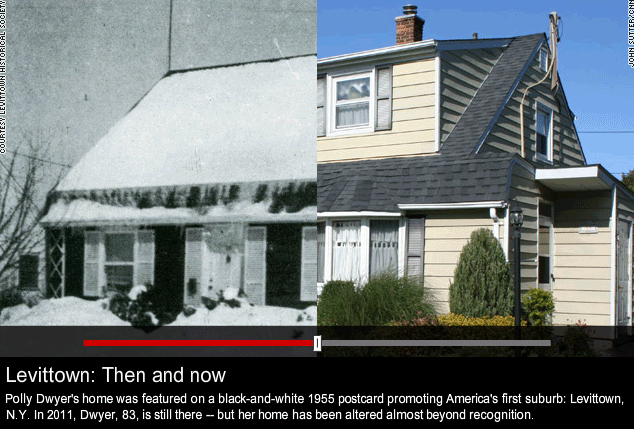 Levittown emerges as the first suburb. The highway system and the loss of the Dodgers to Los Angeles prompts people to move east. 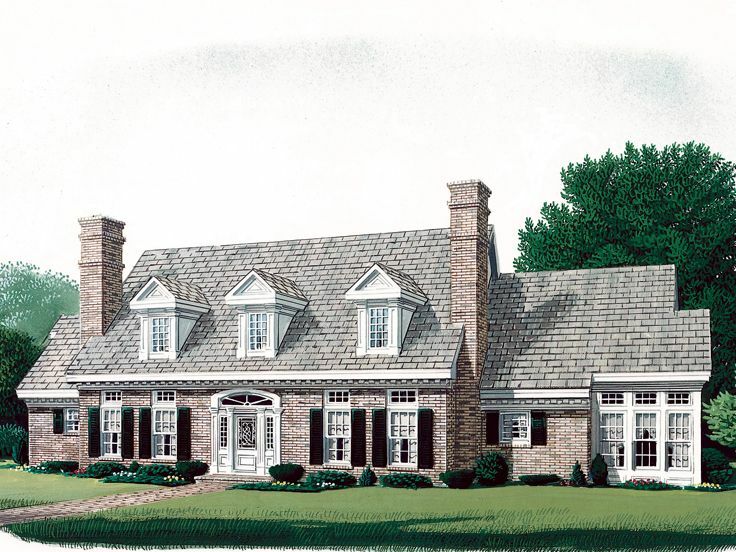 The cape cod style home makes a statement as the house to own. 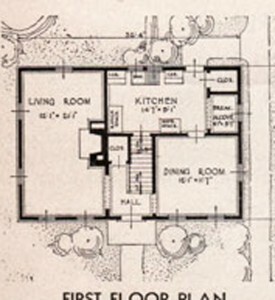 Much like Ford revolutionized car manufacturing with the production line, Levitt revolutionized home-ownership. 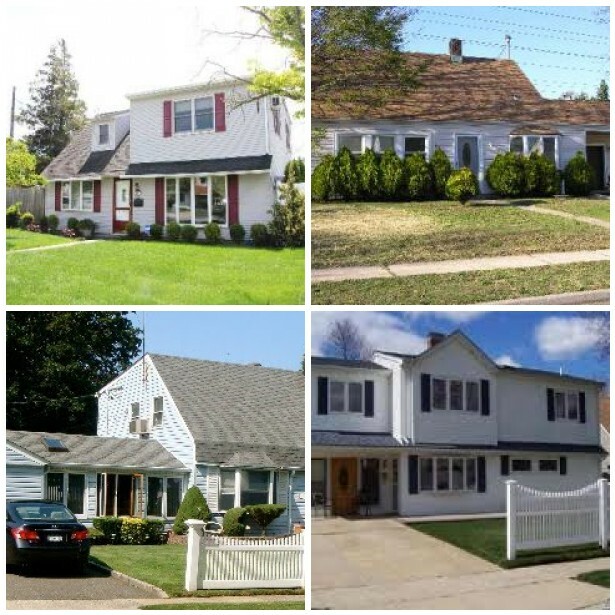 Each house was the same, they went up fast and most if not all of the parts were interchangeable. Had it not been for Levitt, with some help from Robert Moses, the Long Island I grew up on would have been totally different. Oh, and there might not have been a little baseball team called the New York Mets. 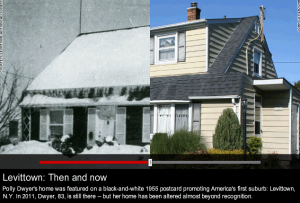 Sweet humble cape cod house- what have they done to you! 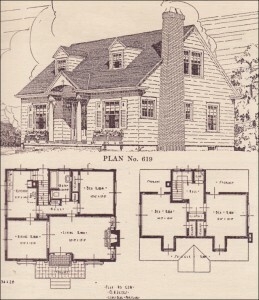 I found this plan, full disclosure it was the largest I could find, but if you look, you can see the original 1936 Milford plan is still there- sort of. 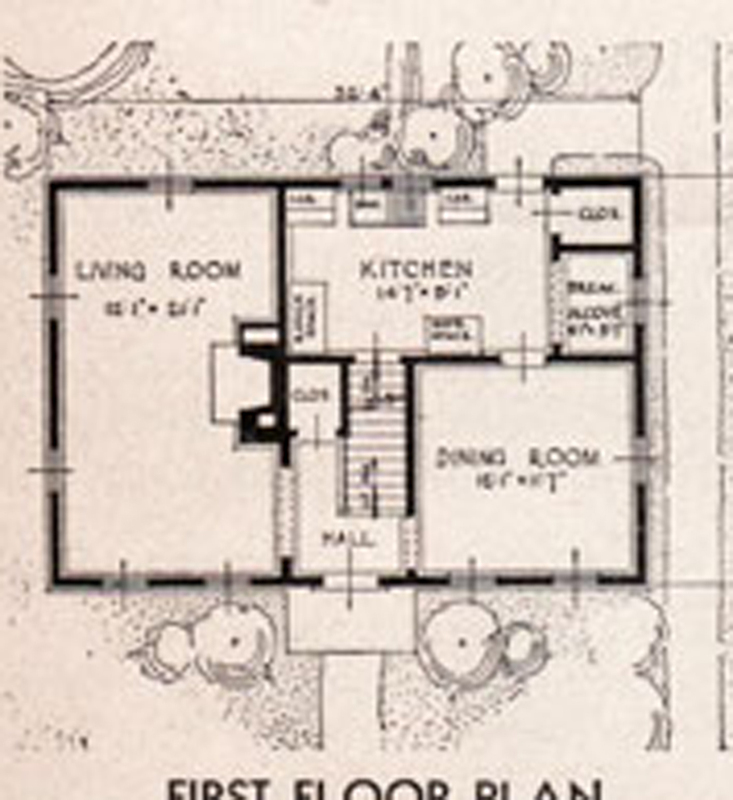 The same prefab kit style houses are available today, only not surprising they are much bigger. Unlike the homes the Greatest Generation purchased and the Baby Boomers grew up in, these are not filled with growing families. There is always one report or another claiming family size is shrinking and millennials don’t ever plan to have children. So why then are the houses growing? Land and materials are more expensive- if you can find land to build on close to where the jobs are. The current backlash is the tiny house trend. I love tiny houses. Some are even on wheels so you can move them. These are homes that can be purchased for less than a years worth of rent or mortgage, and because of their tiny size they discourage the inhabitants to fill the house with material goods. 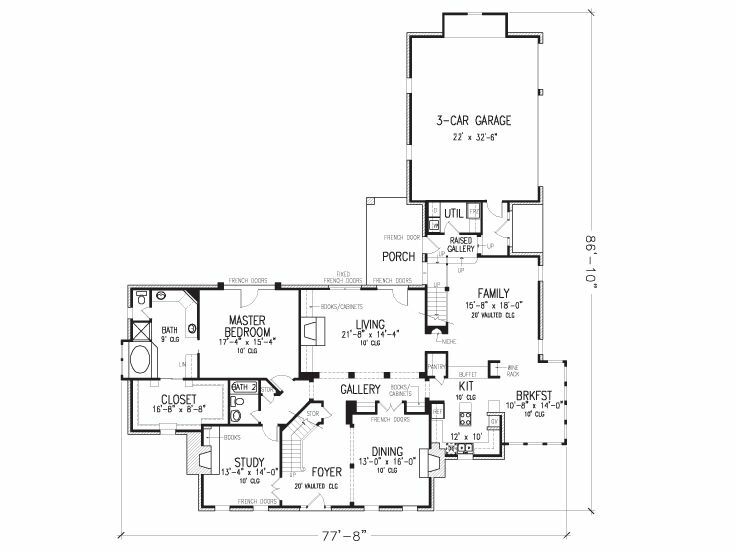 If I have a chance this weekend I want to run one of the new floor plans through sketchup so I can see them side by side, unfortunately I am out of town the next 2 weekends so a majority of my school work is getting worked on today and tomorrow, so I don’t think I will have the time. Turns out I didn’t have enough time to do more with sketchup although I wanted to, here is an over lay of the Milford on the newer floor plan. As I said, it is still in there. What a fun post, Danielle. I have often pondered the growth in home size over the years as well. I grew up in a relatively small cape cod (by today’s standards) in Fairfax City. 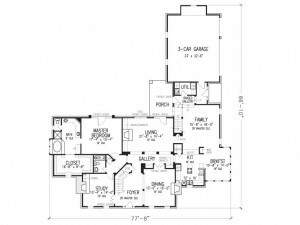 The home was basically designed for eating and sleeping and not much else…no a/c either (I still love the sound of a fan!). 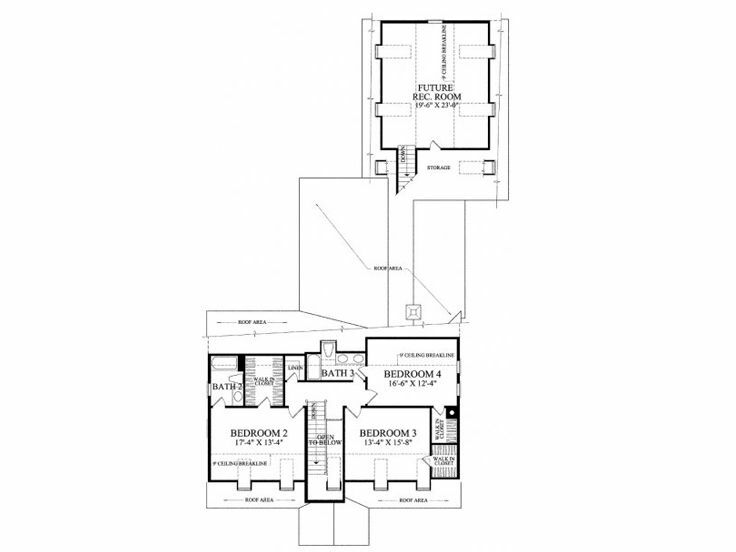 You can find homes very much like the Levittown homes in nearby Pimmit Hills (Tysons Corner). 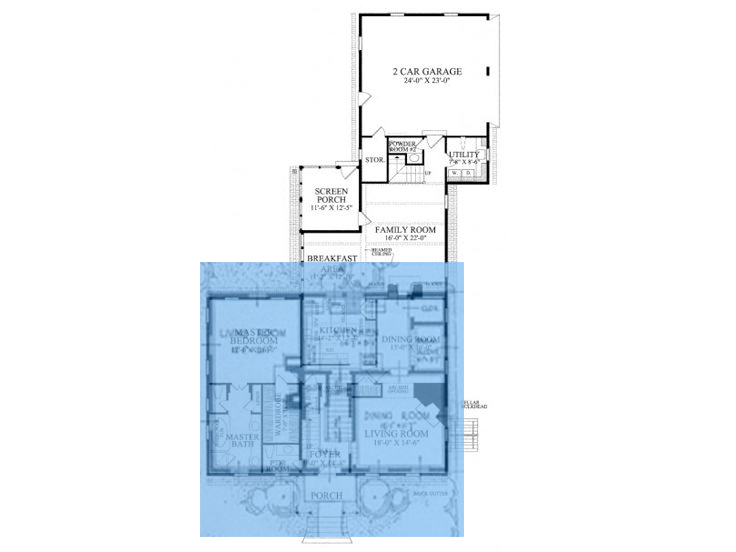 I’ve concluded that we spend so much more time indoors that houses have grown accordingly (although some of it was probably driven by pre-2008 subprime mortgages). Consequently (and also sadly), we are so much more disconnected from the outdoors than we were only 40-50 years ago. My childhood experience would today be described as “free-ranging”…not much time spent indoors. I am also fascinated by the tiny home movement, but I don’t think I’d like to live in one. Nevertheless, here is a link to a favorite tiny (cabin) home design: http://www.houzz.com/photos/37256/Orcas-Island-Cabin-rustic-garage-and-shed-seattle. 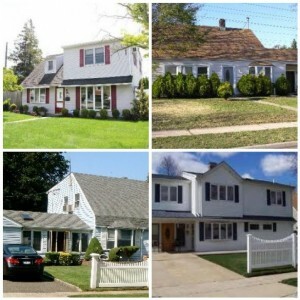 A very useful illustration of how much even “modest” homes have enlarged to hold all of our stuff.